That’s correct, ladies and gentlemen, free fonts. And good ones, too. 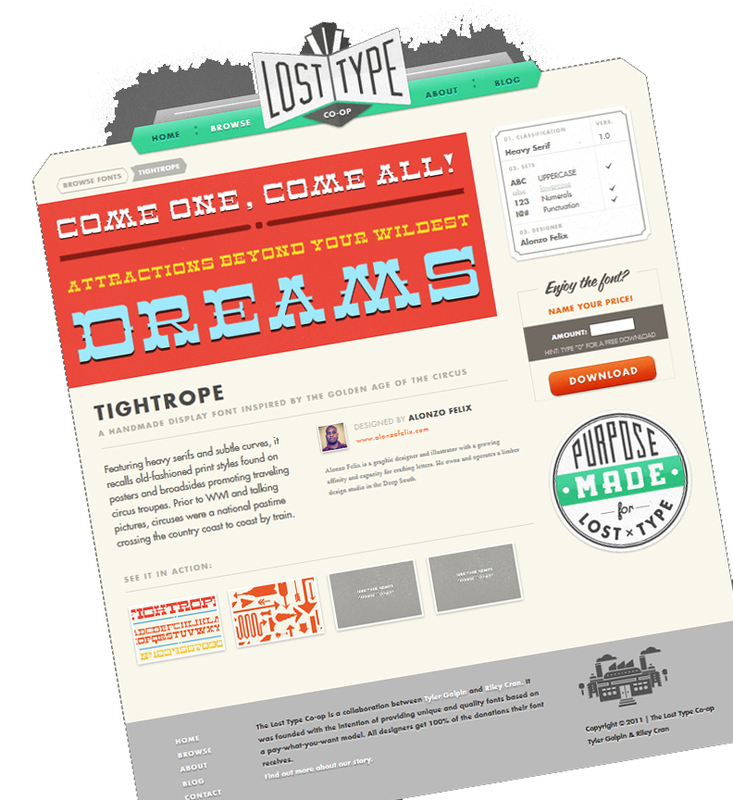 Thanks to a email blast from LinkedIn, the website LostType recently appeared on my radar. The site is unique in that it showcases the work of many font designers and offers free downloads to the public (with the option to “purchase”, profits head straight into the designer’s pocket). What’s more, with their growing database and resources, the company has blossomed in a full-blown foundry themselves. And its not just design-on-the-side people like me who are taking note. Companies like Nike and Sheetz and websites like Behance have adopted the free typefaces into their brand marketing, as you can see below.